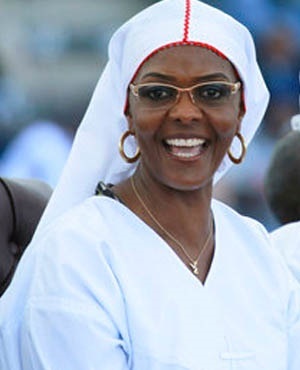 Harare - Zimbabwean anti-corruption investigators said on Friday they had arrested a university professor over the suspected fraudulent awarding of a doctorate to former first lady Grace Mugabe. "Nyagura has been arrested. We cannot have people who award fake degrees," Goodson Nguni, a ZACC commissioner told AFP over the telephone. Grace Mugabe's apparent desire to succeed her 93-year-old husband prompted the army takeover that saw Robert Mugabe ousted from power in November last year. A copy of the 226-page doctoral thesis, titled "The Changing Social Structure and Functions of the Family" was only published last month following public calls for Grace to be stripped of her PhD.